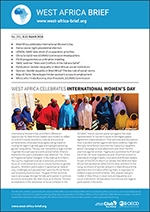 In this issue: West Africa celebrates International Women’s Day; Sierra Leone: tight presidential election; UEMOA, SWAC take stock of co-operation priorities; and China to build new ECOWAS Commission Headquarters. 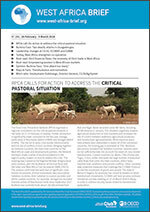 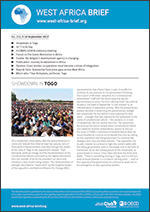 In this issue: RPCA calls for action to address the critical pastoral situation; two deadly attacks in Ouagadougou; leadership changes at CILSS, ECOWAS and GIABA; and Turkey, West Africa strengthen co-operation. 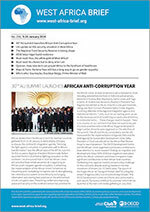 In this issue: 30th AU summit launches African Anti-Corruption Year; UN update on the security situation in West Africa; The Regional Food Security Reserve is taking shape; and AfDB helps Niger build resilience. 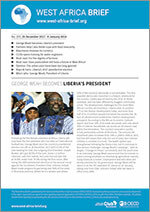 In this issue: George Weah becomes Liberia’s president; partners help Cabo Verde cope with food insecurity; Mauritania revamps its currency; CILSS opens new training for water engineers. 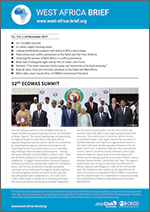 In this issue: 52nd ECOWAS Summit; urgent funding needs of the G5 Sahel; pastoralism and conflict prevention in the Sahel and the Horn of Africa; linking borderlands research and policy; and Jean-Claude Brou, new president of the ECOWAS Commission. 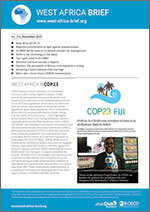 In this issue: West Africa @COP 23; shifts in the US strategy in the Sahel; Tunis gets closer to ECOWAS; the perception of African rural migration is wrong; and achieving a future without child marriage. 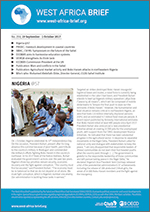 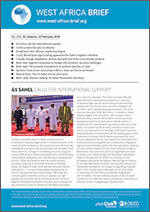 In this issue: Nigeria @57; PRIDEC: livestock development in coastal countries; SWAC, CSFRS: Symposium on the future of the Sahel; ECOWAS aims to harmonise education systems; and UEMOA strengthens its think tank. 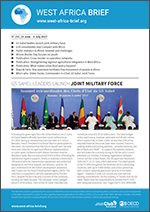 In this issue: G5 Sahel leaders launch joint military force; G20 consolidates new Compact with Africa; Public statistics in Africa: renewal and challenges; and African Border Day focuses on youth. 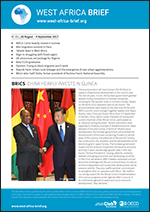 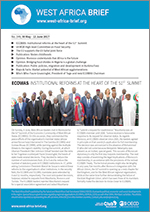 In this issue: ECOWAS institutional reforms at the heart of the 51st Summit; UEMOA High-level Committee on Food Security; the EU supports the G5 Sahel joint force, and Morocco understands that Africa is the future.